The script isn’t new. In every culture-war battle these days, both sides like to call each other bigots. The recent landmark SCOTUS ruling is no different. When the Court ruled this week that a church school cannot be prevented from receiving public funds, both sides insisted they are on the side of the anti-bigotry angels. From this historian’s perspective, one side has the much better case. Am I off base? Is he right? The other side insists that the real bigots are the ones who want to erode the goal of a secular government. The true bigots, they’d say, are the folks like Clarence Thomas who hope to chip away at the post-World-War-II SCOTUS consensus that there should be a firm wall of separation between church and state. The ultimate goal of such SCOTUS scheming is to take away the hard-won rights of religious and non-religious minorities, to cram majority Christianity down the throats of Americans of all backgrounds. Who has the better argument? On one hand, Justice Thomas isn’t totally wrong. Although savvy historians such as Benjamin Justice of Rutgers have made a good case against him, the Blaine Amendments really do have roots as relics of anti-Catholic populist bigotry. 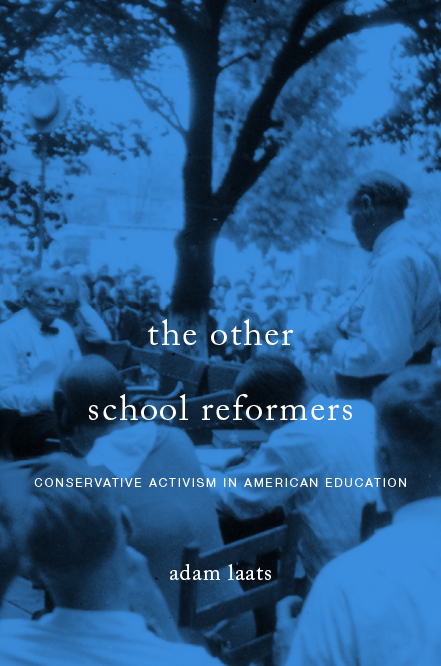 In his terrific book The Bible, the School, and the Constitution, Steven K. Green describes the context in which the Blaine Amendments took off. From Green’s perspective, Justice Thomas’s argument is far too simplistic. Senator Blaine himself wasn’t an anti-Catholic bigot. His mother was Catholic and he sent his kids to Catholic schools. Moreover, as Green points out, there was not a single “Blaine Amendment” and the supporters of such amendments had a variety of motivations, not just anti-Catholic bigotry. However, just because Blaine wasn’t an anti-Catholic bigot, his amendment certainly played to the popular anti-Catholic bigotry of his day, as Green also relates. In the years following the Civil War, the Republican Party used popular anti-Catholic sentiment as a campaign tool. Leaders such as Blaine and Grant inflamed the anti-Catholic prejudices of voters in order to discredit their rivals in the Democratic Party, the traditional political home of Irish Catholics. Blaine’s proposed Constitutional amendment was at least in part a House-of-Cards-style attempt to inflame anti-Catholic bigotry. According to Green, contemporary newspapers recognized Blaine’s proposal as fueling “the excitement of Protestant fanaticism.” Rallies in support of the Blaine Amendment made no secret of it. They insisted the anti-Catholic measure would guarantee the victory of “the promulgation of the doctrines of true religion” in America. So, although Justice Thomas distorts the history of the Blaine Amendments by over-emphasizing this bigoted anti-Catholic support, he is not wrong to suggest that supporters often did react out of knee-jerk Protestant chauvinism. Though the Blaine Amendment failed, its language was incorporated in one way or another into several state constitutions, including Missouri’s. In this historian’s opinion, however, there is a more important flaw lurking in Justice Thomas’s use of the history of Blaine Amendments, due either to surprising ignorance or profound cynicism. If bigotry lurked at the heart of the Blaine Amendment, precisely the same bigotry has fueled a generation of conservative attempts to wedge religion—a certain form of religion—back into America’s public schools. When Justice Thomas fights against Blaine-ist bigotry, he is promoting the very same. The dangerous, bigoted implication—in Blaine’s day or in ours—is that there is one type of religion that is somehow more American than others. To my mind, this is the big danger in this debate, and it is a danger that has worried conservative religious people as much as secular progressives like myself. As Robert Daniel Rubin argues in his terrific new book Judicial Review and American Conservatism, since the 1970s religious conservatives have fought against the separation of church and state in order to restore Christianity to its place as America’s de facto religion. As part of this campaign, since the days of Senator Jesse Helms and Justice William Rehnquist, conservatives have pushed to wedge more and more Christian prayer and Bible-reading back into schools. solicitude toward the majority and its capacity to fashion policies embodying its moral and political preferences. To honor dissenters’ rights more jealously than states’ laws was to disgrace the democratic process. Just like Senator Blaine and Justice Thomas, Justice Rehnquist wouldn’t have called this solicitude “bigotry.” In the end, though, if we have to play the bigotry card, I can’t help but think that Thomas has the weaker case. Why? The most dangerous, bigoted notion in these cases, IMHO, is the implication that there is a real American religion, that Christianity (or Protestantism, or evangelical Protestantism) have somehow a better claim to government support. In this idea lurks the true and dangerous bigotry in this perennial conflict. It is a bigotry, to be fair, that has been strenuously opposed by plenty of religious conservatives themselves. As we’ve noted in these pages, many conservative evangelicals are horrified by the notion that theirs is somehow a merely “American” religion. Among conservative evangelicals, however, it has proven difficult to oppose moral-majoritarianism. And so we come to our culture-war battle over the proper role of Christian religion in public schools. One on side, we have conservatives who fight to include Christian sentiment and activity in government-funded activities, including schools. On the other, we have progressives who favor a strict secularity in government funding. Ideally, we could have these discussions without calling each other bigots. When it comes right down to it, though, if we are going to start flinging mud, the balance seems clear to me: In this case the bigger bigots are those who hope to cram Christianity back into public schools. They ignore the rights of minorities; they insist that their ideas are right for everybody. Many SAGLRROILYBYGTH will likely disagree. What do YOU think? Is it fair to call pro-Christian activism “bigotry?” Or do Christian groups have a right to legal protection from anti-religious “bigotry” such as the so-called Blaine Amendments?